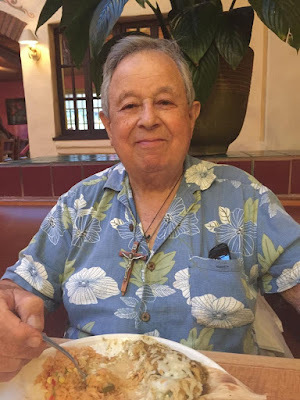 If you follow my other blog, you know I started feeling better about five weeks ago...until my father became ill and passed away three weeks ago. My daughter and I booked a flight with 1 day's notice, but we didn't get to see him before he passed. Since we knew that evening he was going quickly, my sister held the phone up to his ear, I told him I loved him and that I'd see him in heaven. Yes, there were lots of tears getting those few words out. Traveling was difficult and I was glad to have my daughter help me through the airport because I couldn't have made it without her. My body just wasn't ready to travel. Mr. DIY flew out a few days later. I was relieved that I was able to have energy and brain power to make it to the end of the week and I've been trying to recover since I arrived home. 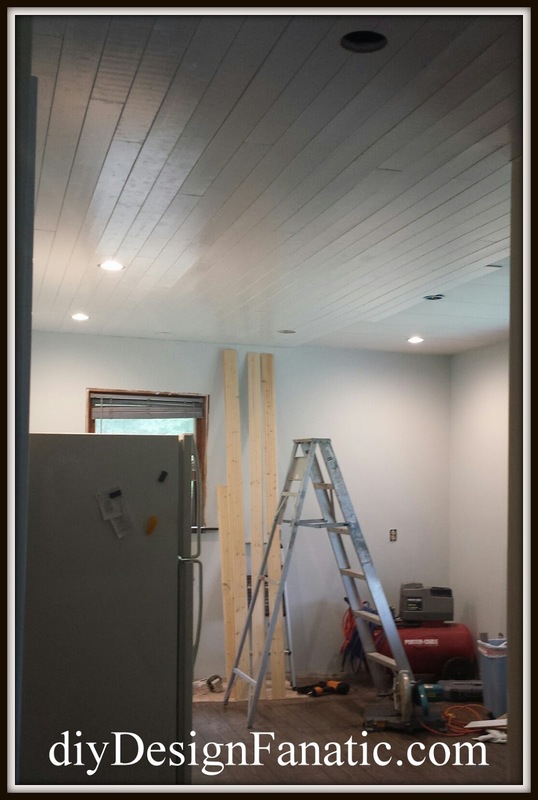 I haven't gotten any projects done and we're still in the middle of our kitchen reno at our Mountain Cottage. We're at the Mountain Cottage this weekend trying to prep the sink base for the farmhouse sink. 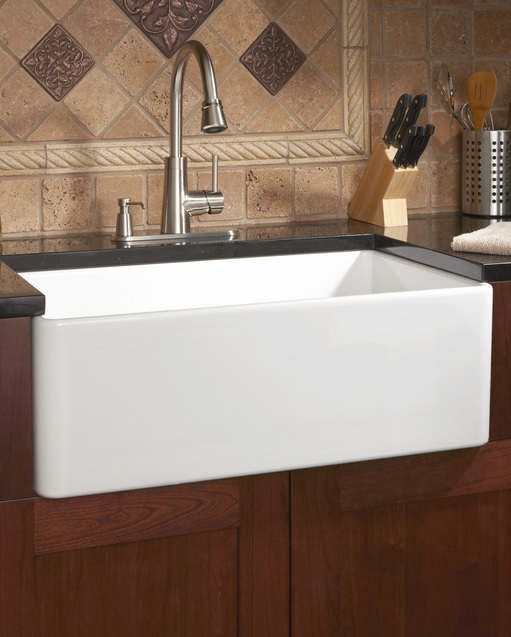 Farmhouse sinks are always trouble. I've had them installed in kitchens I've designed and every one of them is a challenge. Ours hasn't been any different. 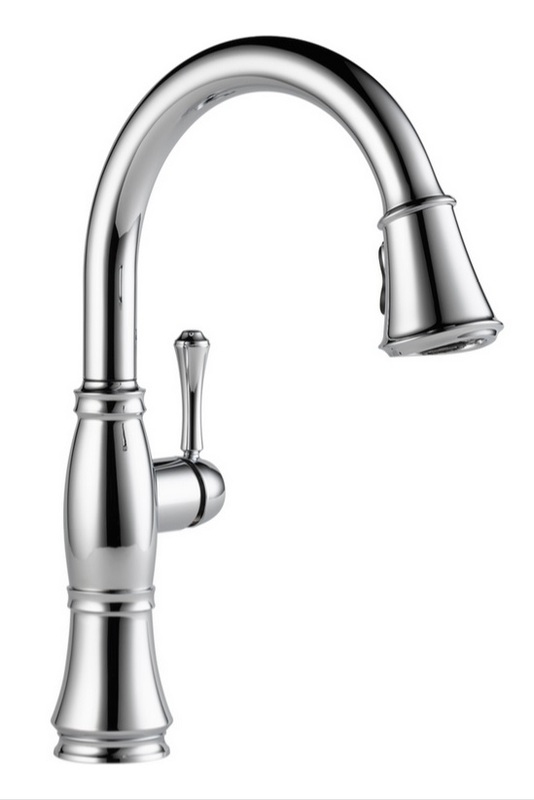 But, Farmhouse sinks look so good and add so much to a cottage kitchen, that they are definitely worth the extra effort and headache ...and the 2 extra trips to the big box store for unforseen oops and I forgot about that occurences! Still, I've had to stay one step ahead of picking out the details. I found the apron front sink at Signaturehardware.com. I purchased the sink way back before I ordered the cabinets. 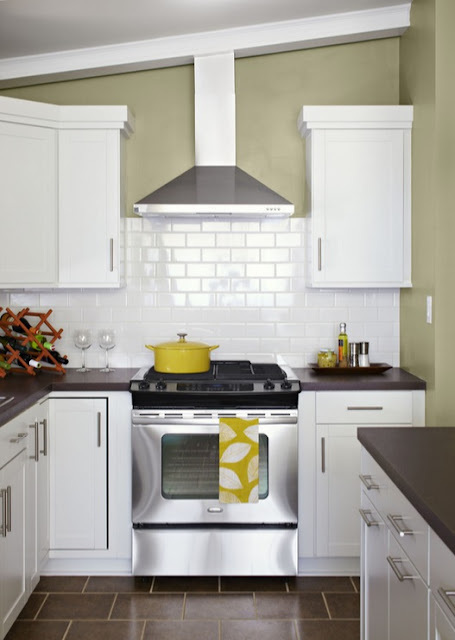 Last week we picked up some classic white subway tile and white grout. We picked this up at Lowe's. 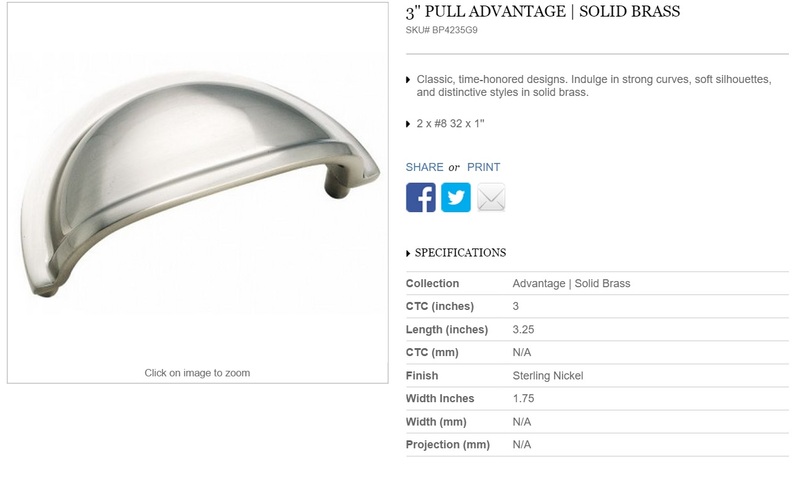 I like Amerock's traditional drawer pull, but haven't decided where to get them or what knob I want. As for a range hood we'll be getting an insert to go into a custom stained wood hood that Mr. DIY will build. 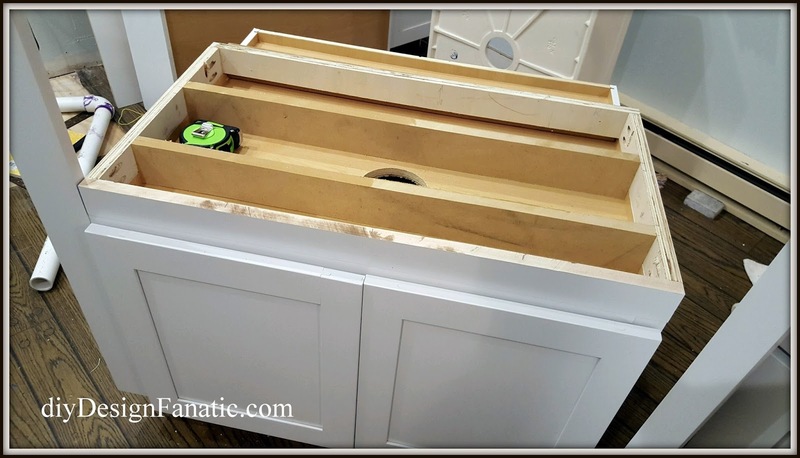 That's going to be a fun job and much easier than customizing the farmhouse sink base! You can see our original plans, including the layout and the appliances we purchased 2 years ago HERE. The kitchen reno is coming along slowwwwwly, but we're making progress. and, of course, our Vintage Style Pantry. Follow me on Facebook or Instagram or more behind the scenes photos. I am so very sorry for your loss, Pam ... thoughts and prayers. And, on a lighter note, I can't wait to see what you do to your kitchen ... I know it will be amazing! Pam I'm do sorry about your dad. How difficult it must've been to speak to him over the phone like that. I hope you'll get your energy back soon. 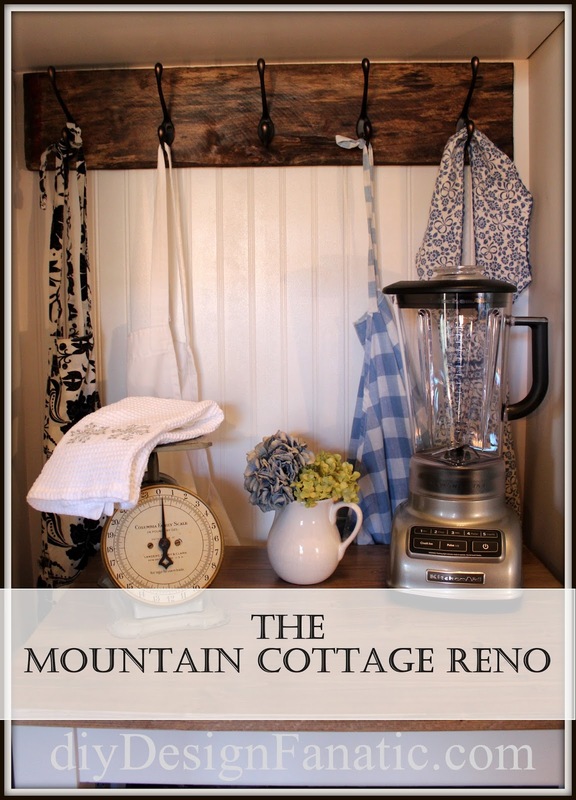 The cabin kitchen is going to be so darn cute! The sink is going to set the stage and the ceiling is definitely the crowning touch! I'm so sorry about your dad, Pam. I lost my dad nine years ago and it's still hard. He looked like a sweet guy! Your making lovely progress on your cottage kitchen. I love it all! I'm so sorry about your dad. I can't imagine how difficult that was for you. Please know you're in my prayers. Yes, I thank God every day that my family, extended family neighbors and friends have been supportive throughout this whole ordeal! Many of those with lyme and co-infections don't have that support system. I am thankful for all the blessings I have and there are many! I am so sorry about your father--praying that the knowledge that you will one day be reunited for eternity brings healing to your aching heart, Pam. I'm so sorry about your dad. You're in my prayers. Lovely details in your garden. It will be amazing, I know!